Welcome to Intellicore Design Consulting! We are excited you are here reading the first article in our blog! Every day we're growing and improving everything we create. At Intellicore Design Consulting we want to amaze and inspire you. Our goal is to quickly enable you to get deeper insights into your customers, business operations, family & friends, and your life. Cynthina S. Heinsohn has 25+ years of diverse technical and business experience implementing and managing leading-edge systems, including Smart One Technology (which won numerous Retail Exchange awards such as "Best Technology" and "Best Retail Strategy"). She is a highly accomplished business technical consultant with unique combination of skill sets and a professional track record in business application delivery, business intelligence, product design, and information technology architecture. Her leading edge technical solutions solve real-world business problems ─ such as enhancing corporate productivity and accountability, as well as providing data and tools for strategic analysis ─ and she delivers projects within schedule, budget, and quality guidelines. Additionally, she has a proven ability to improve business processes and support critical business strategies by directing the development, implementation, and maintenance of business applications systems. She is recognized as a creative and effective strategic planner and decision maker with strong communication skills in business and technical settings. In past positions, Cynthina served as Vice President, CTO and CIO of both private and public software technology corporations, as well as served in a variety of technical positions with Exxon (now ExxonMobil) groups. • Creation of Smart Enterprise™, a fully integrated web-based technology product and gained acclaim from the industry analysts. • Development and management of a travel company’s mission-critical Tools Enterprise Suite (valued at $500,000) for enhanced stability, new application features, and re-normalized data relationships/platform. • Development of sales and marketing automation systems to manage campaigns and accounts for small- to medium-sized businesses. • Producing digital marketing to improve client market exposure and to maximize business opportunities for B2B and B2C companies. 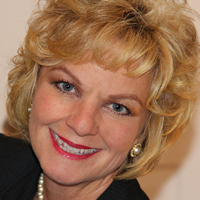 Cynthina S. Heinsohn is the primary force behind Intellicore Design Consulting. Her life’s passion is to work with entrepreneurs, business owners, creative professionals and executives to find business success and personal fulfillment. Get current news and events the easy way! Just enter your name and email --- that's it. Note: We do not share email address to anyone.